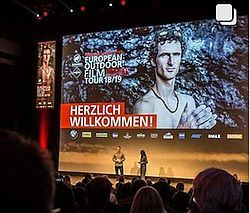 Nový film s Adamem Ondrou se začal promítat minulý týden na festivalu European Outdoor Film Tour (E.O.F.T. ), který putuje po městech 13 zemí Evropy, mezi nimiž ale není Česko. Adam na film upozornil na Instagramu s odkazem na tralier. Excited to let you know that a new movie The A. O. was released this Tuesday in Munich. 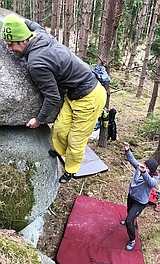 Thank you @eoft for making this possible. Had a great time at the event! It will be screened all over Europe. Check the screening times and find more info at the link in the bio.